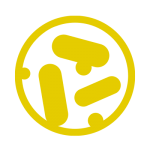 Biosynex offers quick solutions for detection and/or identification of the main bacteria that cause disease. Here are our main references in bacteriology. BIOSYNEX® Legionella & BIOSYNEX® S.pneumoniae are two rapid tests for the detection of antigens present in a urine sample. Identification of urogenital mycoplasmas, differential titration and antibiotic resistance test, automated reading. TETANOTOP® makes it possible to check from a drop of blood the level of serological protection of a patient with respect to Tetanus.